○ Govt. College for Women, M. A. Road, Sgr. ○ Sri Partap College, Sgr. ○ Govt. College for Women, Nawakadal, Sgr. ○ Islamia College of Science & Commerce,Sgr. ○ Govt. Degree College, Bemina, Sgr. The candidates are advised to follow the following steps for filling their On-Line Application Forms. 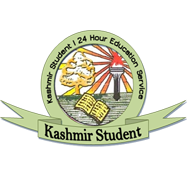 Step-1: Visit University Website http://www.kashmiruniversity.net or www.kashmiruniversity.ac.in and click on Link Admissions 2014. Step-2: Enter Prospectus Serial No. reflected on the front inner cover and your Registration No. 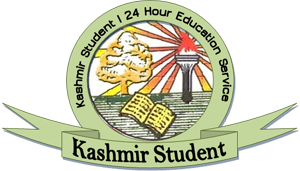 and Click Search (if already registered with University of Kashmir your particulars/exams. passed will appear from database automatically). Otherwise enter all details yourself. Step-3: Select the desired Programmes and Campus/College Preferences and Upload your latest passport size photograph and your specimen signature. Step-4: Preview the Form displayed on the screen. If details are correct, click on Submit. If there is any variation click on Previous button, make corrections and then Submit. Get a printout of the Form and note the ID for future reference. Step-5: Deposit the Entrance Test Fee of Rs. 245/- per course (plus Rs. 10/- Bank charges) against the Payin-Slip generated with the Application Form, in any of the branches of the J&K Bank Ltd. across the Country. The candidates residing at Leh, Kargil, Gurez and Tangdhar can submit their On-line Application Form and deposit their Entrance Test fee of Rs. 300/- per course (plus Rs. 10/- Bank charges) at any J&K Bank branch. The Hard Copy of the Application Form may be sent to the office of the Dean Academic Affairs through e-mail deana@kashmiruniversity.ac.in or through FAX No. 0194-2415041 along with the pay-in-slip and all required documents by or before the last date. ○ IT Centres at Colleges. (ii) The candidates applying under any Reserved Categories shall submit the hard copy of their Application Forms with required documents only at the Examination Hall, Humanities Block, University of Kashmir. ○ The candidates must check the status of their Application Forms after five days of deposition of hard copy of Application Form. In case, acceptance of Application Form is not uploaded or fee reconciliation is pending, the candidate should contact the concerned Branch of J&K Bank, where he/she has deposited the Entrance Fee and Admission Help Counter at Examination Hall, Humanities Block, University of Kashmir alongwith Form Receipt, candidates copy of Fee Receipt and all other documents within two days of last date of receipt of Application Forms. Thereafter, no claim, whatsoever, will be entertained by the University. ○ The detailed Date Sheet for conduct of Entrance Examinations shall be notified separately. ○ After completing the admission process for General category/ies seats, the notification for Self Financed Seats shall be issued. However, only those candidates shall be considered for admission in Self Financed Seats Category, who have appeared in the Entrance Test of the subject. ○ The admission notification for MBA, MFC, IMBA, MCME, MTHM, B.Tech, BA-LLB, LLM, M.Pharm, B.Pharm, PG Diplomas, Diplomas and Certificate Courses shall be issued separately.